The White Witch, Aslan, fauns and talking beasts, centaurs and epic battles between good and evil -- all these have become a part of our collective imagination through the classic volumes of The Chronicles of Narnia. Over the past half century, children everywhere have escaped into this world and delighted in its wonders and enchantments. Yet what we do know of the man who created Narnia? 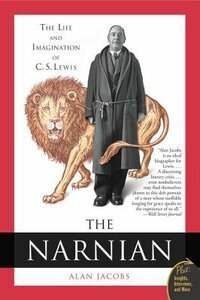 This biography sheds new light on the making of the original Narnian, C. S. Lewis himself. Lewis was one of the intellectual giants of the twentieth century and arguably the most influential religious writer of his day. An Oxford don and scholar of medieval literature, he loved to debate philosophy at his local pub, and his wartime broadcasts on the basics of Christian belief made him a celebrity in his native Britain. Yet one of the most intriguing aspects of Clive Staples Lewis remains a mystery. How did this middle-aged Irish bachelor turn to the writing of stories for children -- stories that would become among the most popular and beloved ever written? Alan Jacobs masterfully tells the story of the original Narnian. From Lewis's childhood days in Ireland playing with his brother, Warnie, to his horrific experiences in the trenches during World War I, to his friendship with J. R. R. Tolkien (and other members of the "Inklings"), and his remarkable late-life marriage to Joy Davidman, Jacobs traces the events and people that shaped Lewis's philosophy, theology, and fiction. The result is much more than a conventional biography of Lewis: Jacobs tells the story of a profound and extraordinary imagination. For those who grew up with Narnia, or for those just discovering it, The Narnian tells a remarkable tale of a man who knew great loss and great delight, but who knew above all that the world holds far more richness and meaning than the average eye can see. Dr Alan Jacobs (Ph.D., University of Virginia) is Professor of English and Director of the Faith and Learning Program at Wheaton College in Illinois. He is the author of award winning books The Narnian: the Life and Imagination of C. S. Lewis (San Francisco: Harper, and London: SPCK, 2005) - winner, Christianity Today 2006 Book Award, History/Biography Category and Winner, 2006 John Pollock Award for Christian Biography with Shaming the Devil: Essays in Truthtelling (Grand Rapids: Eerdmans, 2004). He is also the author of A Theology of Reading: the Hermeneutics of Love (Boulder and New York: Westview Press, 2001), A Visit to Vanity Fair: Moral Essays on the Present Age (Grand Rapids: Brazos Press, 2001) Winner, Christianity Today 2002 Book Award, Christianity and Culture category, Looking Before and After: Testimony and the Christian Life (Grand Rapids: Eerdmans, 2008) and Original Sin: a Cultural History (San Francisco: Harper/ SPCK 2008).